Booking a multi-day tour of Victoria Falls area attractions means all of your activities, meals, lodging, and transport have already been booked so your vacation is completely hassle-free. 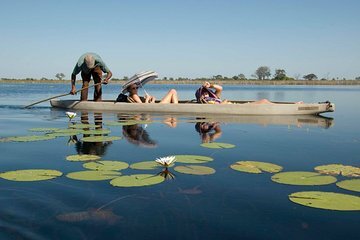 Head to must-see sights in the region including Victoria Falls, Chobe National Park, and Okavango Delta alongside a guide, and enjoy activities like game drives, cruises, and more at each stop. I would not recommend this trip to anybody. Hotels are awful. Guides don't speak English and don't know anything . The elephant safari lodge is not meant to be for human being to lodge in. After all it was not a nice experience and this is the last time I will use viator to arrang a trip for me.